Several of Rhodes positional assistants became coordinators. That’s an impressive track record for a guy who was the HC in Philly for 4 years. 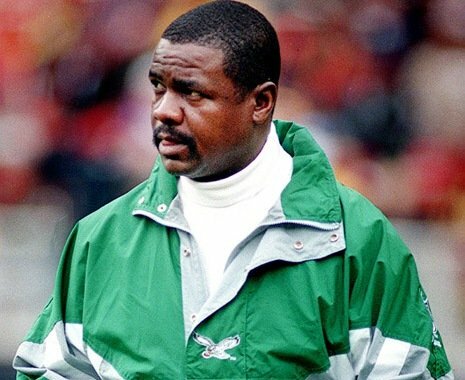 Rhodes was the head coach in Green Bay for one year, 1999. He hired Jeff Jagodinski to be his TEs coach. Jagodzinski later became the coach at Boston College. He was recently a coordinator for the Bucs. Ray Farmer was just named the new GM of the Cleveland Browns. Since Rhodes drafted him in 1996, Farmer becomes the first GM of the Ray Rhodes tree. It must be cool for Rhodes to sit back and see his former players and coaches impacting the NFL the way that they have. I was wondering of that Ray Farmer was the same as the old 4ht round LB draft pick.